MediaStorm is looking for a passionate and self-motivated Full Stack, Front-end and Back-end Developers to implement and maintain web-based applications including The MediaStorm Platform and websites for MediaStorm’s publication and client projects, as well as in-house and public-facing products and tools. Ideally these positions will be located Menlo Park, CA but we are open to a remote position. Experience managing DevOps for an extensive web application utilizing AWS and linux. MediaStorm is an award-winning film production and interactive design studio whose work gives voice and meaning to the most pressing issues of our time. Our stories demystify complex problems, humanize statistics, and inspire audiences to take action on what matters most. 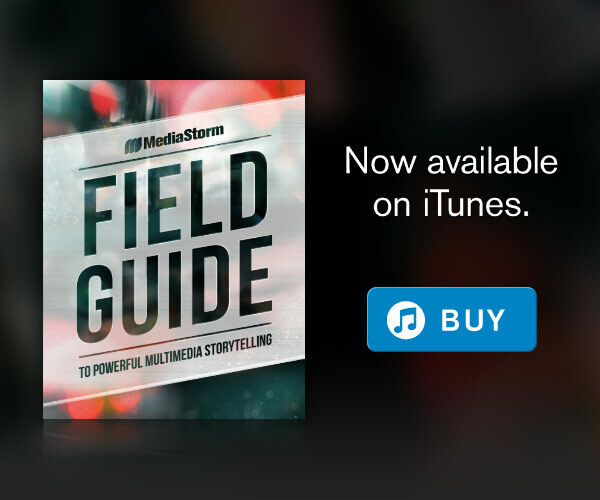 MediaStorm has led a paradigm shift in digital storytelling. Our in-depth reporting and original use of audio, video, and interactive graphics create compelling stories that get noticed. In the past eight we have been nominated for 17 Emmy Awards and won two Alfred Dupont Awards. Our films connect with audiences, spread through social media, and are picked up by major media outlets, such as AP, NBC, New York Times, and the Washington Post. This entry was posted in Jobs, Multimedia Jobs. Bookmark the permalink. Both comments and trackbacks are currently closed.